As its debut at the 2019 New York Auto Show draws closer , Hyundai has released some revealing teaser sketches of its new sub-compact SUV. 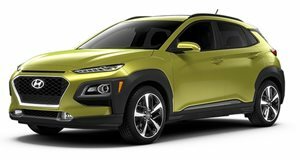 The Venue will slot below the Kona crossover and will be Hyundai’s smallest and most affordable SUV sold in America. While the Venue has already shown some of its skin in leaked images from India, Hyundai’s sketches reveal some new styling details. At the front, the Venue’s styling takes its cues from its larger Kona and Santa Fe siblings, adopting angular headlights with daytime running lights positioned below on the bumper. 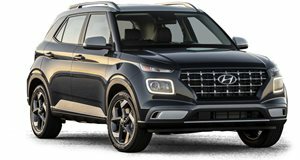 Hyundai’s small crossover also sports the automaker’s aggressive cascading grille and is shown with a set of roof rails. Looking at the profile, the Venue appears to adopt a three-door body style, which is surprising when demand for three-door models is declining. As with most design sketches, the wheels are massive. Last week’s leak showed the Venue riding on 16-inch dual-tone alloy wheels available in the range-topping SX trim. The rear of the Venue features a faux diffuser, square taillights, and a subtle rooftop spoiler. Its striking styling should make the Venue stand out from the crowd. We also get a look inside the cabin, which matches last week’s leaked images featuring a three-spoke steering wheel and a large tablet-style infotainment screen flanked by center air vents. No technical details have been revealed, but the Venue is expected to use Hyundai’s turbocharged 1.0-liter, three-cylinder gasoline engine, which is expected to be available with both a manual and dual-clutch automatic transmission in some markets. Expect the Venue to start at less than $20,000 as it will be positioned below the Kona. More details will be revealed when the 2020 Hyundai Venue makes its world debut in New York on April 17 alongside the redesigned 2020 Sonata sedan.